Day 15: What Do I Collect? I collect memories, experiences and photos. And sometimes t-shirts. This is my high school/running t-shirt quilt that I had made back in 2010! In past years, I was a t-shirt fiend! I would do a race just because I got a cool shirt! Or I would join a club if it meant that I got a shirt in high school or college. 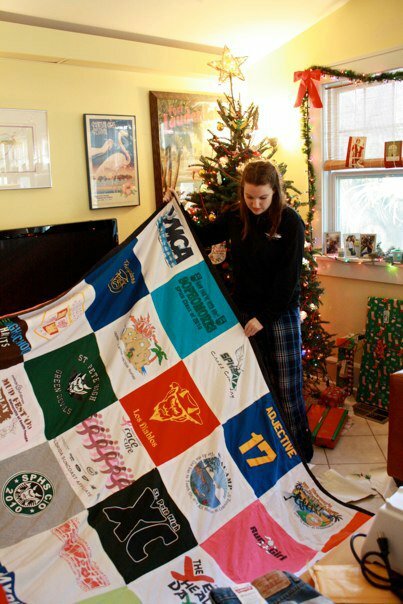 I even had a huge quilt made from running and high school shirts for my high school graduation. I have a lot of shirts saved up in boxes at my parents’ house for my college quilt. Can you imagine, an all orange and blue quilt?! That is a Gator’s dream right there. I also collect memories, experiences and photos of those memories. I have boxes and boxes of photos in my house, my parents’ house, scattered everywhere for me to pick through. Now, don’t get me wrong, but I am definitely a child of the technology/social-media age, and of course my photos are on Dropbox, my computer, and Facebook! But, there is something special about printing photos and putting them up on your wall to look at every day or simply holding a stack of photos. Who does that anymore? I do. Every 6-12 months. I print 100+ photos and then take them home and put them up on my walls in my photo organizers and cherish the memories I had in the last year. It’s nice to look back on the past few months. In general, I don’t collect many things because in recent years, I’ve realized how much junk I collected as a kid. Thank you Mom & Dad for humoring me, but now I see the hassle it is to have a lot of stuff to move back and forth. Since I moved every year of college, and twice a year in the past couple years, I know that it’s really unnecessary to have a lot of fluff! 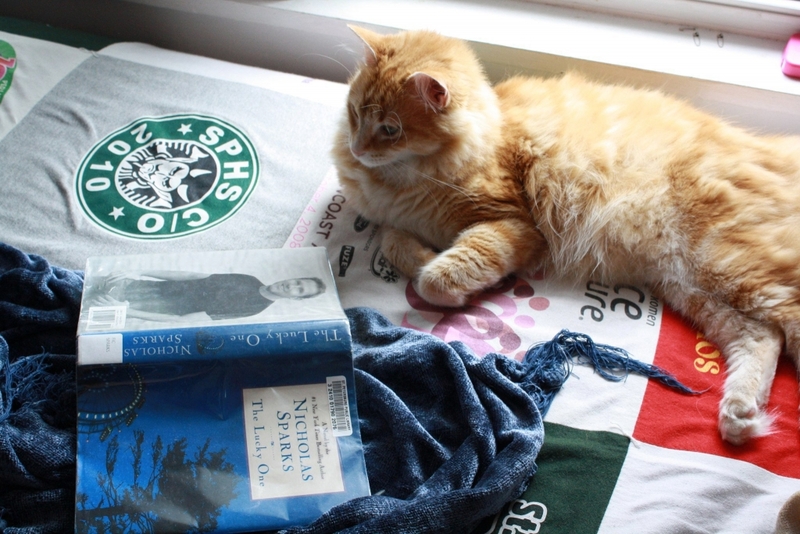 I’d rather have fluff in the form of clothes, memories, or photos than little trinkets.